Everything I've learned on writing, from Wattpad, experience, or how-to writing books. Extra, extra, read all about it! Have you heard? I'm giving out writing tips. Whether or not you actually pick up some writing tips is up to you. Hold on. Please don't run away screaming yet. I promise I'll be nice. There are many things you shouldn't do when writing. If you're struggling with punctuation, dialogue, spelling or grammar, have a read of this simple guide to the components of writing, copyright, and publishing. YOU WANNA FIGHT? FIGHT ME! Or we could have a cup of tea and a biscuit if you prefer. Ever found it hard to get to grips with how to put together a fight scene, or a battle sequence? This guide runs you through the basics, talks about different styles of fighting and weaponry, how to put together fight scenes, plan out battles, and talks about how you include Fantasy or Magical elements as well as the various Dos and Don'ts of writing Action. Now with added flamingos... are we sure that it's spelled like that? There's an aardvark with an Uzi somewhere too. • Do you find yourself with too many typos? • Do grammar and spelling tools not always find your slip-ups? • Is English grammar just not your thing? • Are you a victim of writer's block? • Do your characters' personalities fall flat? • Is your dialogue boring? • Do you need help staying consistent with your points-of-view? • Are you struggling with choosing the best genre for your work? • Have you finished your first draft and don't know where to go from there? • Are you in the bulk of your revising stage and could use some guidance? 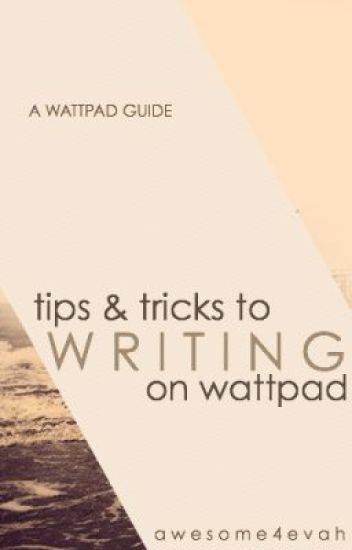 jgfairytales has compiled this guidebook together through her experience as an editorial freelancer and Wattpad editor and critic. She knows what the Wattpad writer struggles with. She wants to help you learn how to not make those slip-ups again, and she does so with easy-to-understand writing. Learn how to edit your work like an editor through these chapters full of detailed explanations, examples, guides, tips, and practice questions from yours truly. After reading this guidebook, you will walk away with an understanding of (American) English grammar and the confidence to comfortably edit your own work. The end goal for every writer is, of course, publication. jgfairytales even has a few tips for you to reach that goal and how to stay on track. jgfairytales has grown as an editor and critic from college courses, textbooks, guidebooks, editing and critiquing others' work, and editing her own work. All references used will be cited so you may also refer to them if you wish to. However, where credit is given, the copyright is (CC) Attribution-ShareAlike. This is about writing, as I think of it. Subjects covered will range from plot aspects to characterization, writing craft to just surviving as a writer. Mainly, Part 1 is a comprehensive list of things to do in order to create and maintain tension. The first book is done at 200 parts and thanks to you it was pretty successful so I decided to go for another part to continue with the random tips, quotes and advices. hopefully, this will reach more and more writers and help many aspiring authors to improve their writing skills. **I DO NOT OWN THE COPYRIGHT TO THE MATERIALS PUBLISHED IN THIS BOOK. As the title states, this is your tutorial, created by me, to writing a story to the very best of your abilities. By carefully reading through the following pages, you can enhance your skills and clear your path to becoming the great author that you wish to be, uncovering your potential each step of the way. For tips and guides on how to create perfect punctuation, grammar, and developing characters, plot, getting through writers block and much, much more, search no further for everything that you need to help you on your journey is right here. Thanks for your eyes, mind, and interest and, please, do read on. From #1 international bestselling author Kevin J. Anderson, with 23 million books in print in 30 languages, a series of tips that will help you improve your ability to write. Ok, so I know that there are a lot of these books out there on Wattpad. The reason I decided to write this book was because I found it hard to find actual guidelines on the internet for this kind of stuff. So I put together what I learned from many authors so this is basically a rant/rule book for the way I would qualify as good writing.